Jose Mourinho has already begun his work in the transfer market, and has reportedly opened talks with Alex Sandro and Samuel Umtiti over a summer move to Old Trafford. The United boss has a reputation of finishing off his dealings in the summer market as early as possible, as he believes clubs tend to raise the prices of their players the longer negotiations drag on. The Portuguese seems to be at it again, and is already making contact with the representatives of some of his targets. Samuel Umtiti could be on the brink of leaving Barcelona in the summer after a standoff over a new contract. The club is refusing to meet the Frenchman’s demands for a pay rise, despite him being one of their most crucial players this season. It has made the 24-year-old feel undervalued, and he could be on his way to Old Trafford in the summer if reports in The Times are to believed. The newspaper claims that Mourinho has set aside a figure of £100 million for the recruitment of both Sandro and Umtiti in the summer, as the figures demanded by both the players’ clubs are likely to add up to that amount. Juventus are demanding at least £50 million for Sandro, while Umtiti has a release clause of £52.5 million in his current deal with Barca. 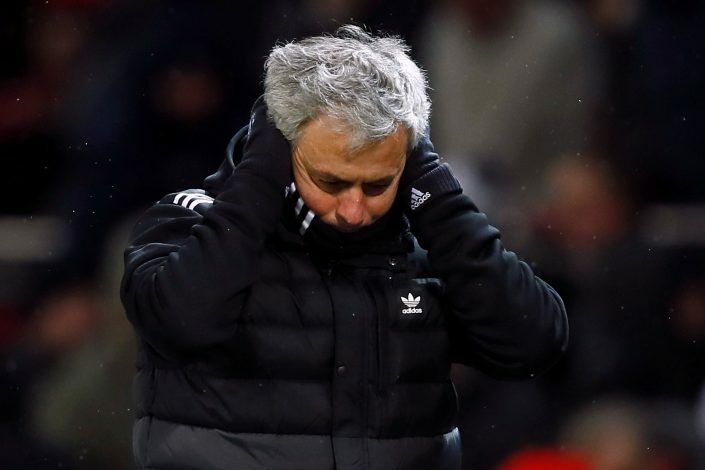 Both players are seen as crucial targets by Jose, who apparently believes they can transform the dynamic of his squad and help them adopt a more attacking approach to games next season. Daley Blind, Luke Shaw and Chris Smalling could all be sold in the summer, as Mourinho plans a huge overhaul of his defense, and the funds raised from their departures will potentially be reinvested into securing the signatures of both Umtiti and Sandro.